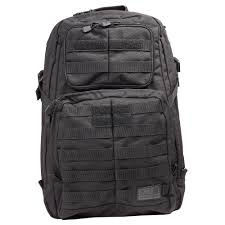 The MOAB 10 (Mobile Operation Attachment Bag) is part of the RUSH series of premium quality gear packs from 5.11 Tactical. 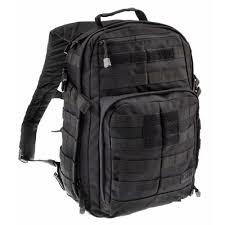 A high performance tactical go bag with room for everything, the MOAB 10 gives you plenty of room for gear and accessories while offering extensive modular storage expandability that allows you to determine how your kit should be organized. The ambidextrous padded strap is fully adjustable, while a coms pocket at the shoulder provides pass-through access for headphones. A covert pocket at the rear is Backup Belt System™ compatible and large enough for a sidearm, while an internal water bottle pocket includes a pass-through port for easy hydration. 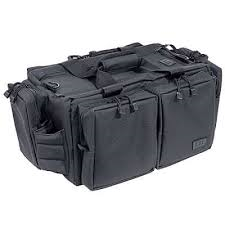 The interior storage area provides ample space and a variety of admin pockets for optimal organization, and an extensive MOLLE/SlickStick™ compatible web lining around the exterior allows you to build your storage structure from the ground up. When you need to expand your storage capability for longer operations, the MOAB 10 comes equipped with the 5.11 Tier System, allowing you to integrate the MOAB with other RUSH series bags. 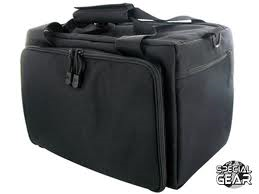 Our 36” Case is equally suited as an AR 15 rifle case or an M4 rifle case, providing superior tactical efficiency and security in any operational theater. Designed by operators for operators, our tactical gun cases are built with rugged dependability in mind, combining top of the line materials with functional features that allow you to perform at peak levels. The 36” AR 15 Gun Case offers extensive MOLLE/SlickStick™ compatible internal and external web platforms for custom accessorizing, while a water resistant treatment ensures all-weather protection. Inside, you’ll find a main storage area sized for your long gun, generous padding to protect against abrasion, and corner mounted lash points for secure and stable carry. A smaller compartment at the front provides storage space optimized for optics and ammunition, and padded compression straps enhance comfort over rugged terrain. 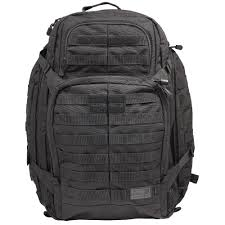 Built with specific input from range instructors and professional shooters, the Range Ready Bag from 5.11 Tactical is engineered to be the best range bag on the market, and stores everything you need for a day at the range. Whether you’re shooting alone or with a partner, this premium range bag offers more than enough space for multiple pistols and all the rounds you’ll need for an afternoon. A removable ammo tote keeps you locked and loaded, a hydration pocket keeps you fresh and focused, and a removable brass tote makes clean-up a snap. 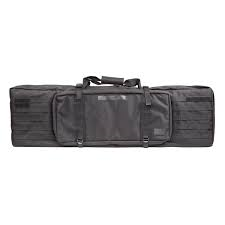 A zip down front organizer stores 8 magazines, roomy side pickets offer ample space for accessories, optics, and ear protection, and padded shoulder straps allow comfortable carry. Accept no substitutes – 5.11 range bags have all the features and functionality you need to get the most out of your range time.